Eveleaks Twitter profile is well known for its genuine rumors about upcoming products and yesterday a new tweet claimed that all new phablet from Nokia is coming this month. There are many users who are looking to buy phablets rather than smartphones. The success stories of Galaxy Note series smartphones reflects that need and so Nokia is also going after that user base with its all new phablet. Nokia Lumia 1520 is going to be the official name of the device (earlier it was codenamed as Bandit) and it’s going to feature a 6inch display. The display is not just a giant one but also having full HD resolution i.e. resolution of 1080p pixels. The device is said to be build up of polycarbonate material and the overall design of the device will be similar to premier Lumia smartphones. The rear camera is also having some gem for users as it holds a 20MP camera which will simultaneously capture 20 and 5MP photos. The 5MP photo concept was also there in the Lumia 1020 so that users find it easy in uploading them to social networking sites. The camera will work on PureView technology and its going to feature Optical Image Stabilization (OIS) technique. These two features seem to be great as per picture quality is concerned. Next big thing is going to be the processor. 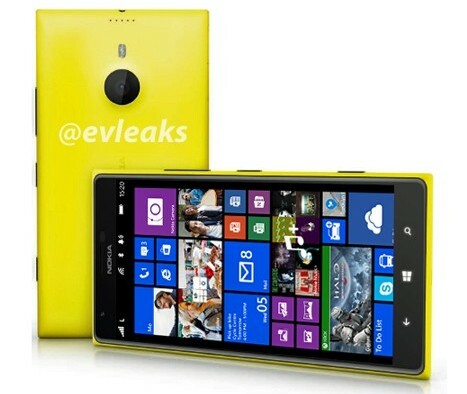 Nokia Lumia 1520 is going to run on Qualcomm Snapdragon 800 chipset which will be clocked at 2GHz (at least). This means that this new Lumia device is going to be the most powerful one as per performance is concerned. It will run the latest version of Microsoft’s Windows Phone 8 operating system which has been updated with new features and performance and battery life have been improved further. This very first phablet running Windows Phone 8 OS is expected to get launch on September 26 this year. Samsung is already done with the announcement of Galaxy Note 3 but now let see what Nokia has prepared for the Phablet lovers.